A natural effective crystal roll on deodorant with Chamomile extract and Aloe Vera. 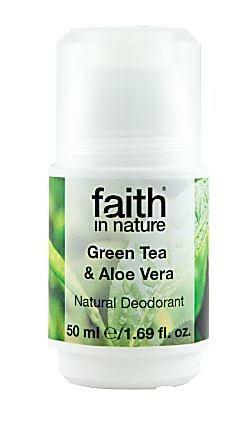 Faith in Nature have included skin conditioning ingredients to provide day long freshness. A natural way to fight body odour without inhibiting your perspiration. 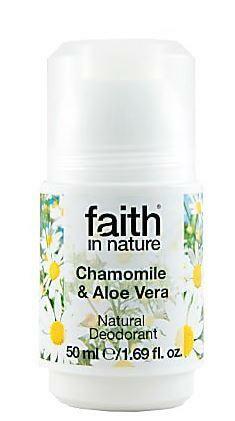 How to use Faith in Nature Chamomile & Aloe Vera Deodorant; Shake gently before use. Use after shower or bath. Do not use on broken or damaged skin. If the roller ball sticks, run under warm water and then dry. Packaging; Recyclable bottle. Check local recycling for roller ball and cap.